Below is a great example of a short practice set (posted by Terry on the T.I. forum in January 2011) that shows how to increase stroke length through precise adjustments to one’s stroke tempo, with the use of the Tempo Trainer and counting strokes per length (SPL). Click HERE to view Terry’s archived (“read only”) original post on the old forum and subsequent discussion of this practice set. Try this exercise with Tempo Trainer. You may need to experiment a bit to find the tempo range that suits you best. Swim 10 x 25. Reset TT by 0.1 sec. each time. On 1st 5, reset TT slower each time. On next 5, reset TT faster each time. Count strokes on each 25 and compare. How many strokes did you start with? How many did you subtract as tempo slowed? Was your SPL (strokes per length) the same or fewer when you returned to starting point (9th 25)? Was it still the same or fewer when you finished? (0.1 faster than starting)? Allow 3 beeps on all pushoffs to keep that part consistent. I encourage you to do this initially at a range that takes you to a slower tempo than you have ever swum at, such as the example given. For Freestyle, I’m not sure there’s a benefit to swimming above 2.0, but my experience going as high as 2.0 was eye-opening. Until I did the set as outlined above, I’d never used a tempo slower than 1.5. I found that from 1.8 to 2.0 any balance flaws I had became exposed. And with the tempo as slow as it was, I could sense where and why they occurred. You can also do this with 50s. Allow 4 extra beeps on turns. Count total strokes for 50. I plan to repeat this once or twice a week. 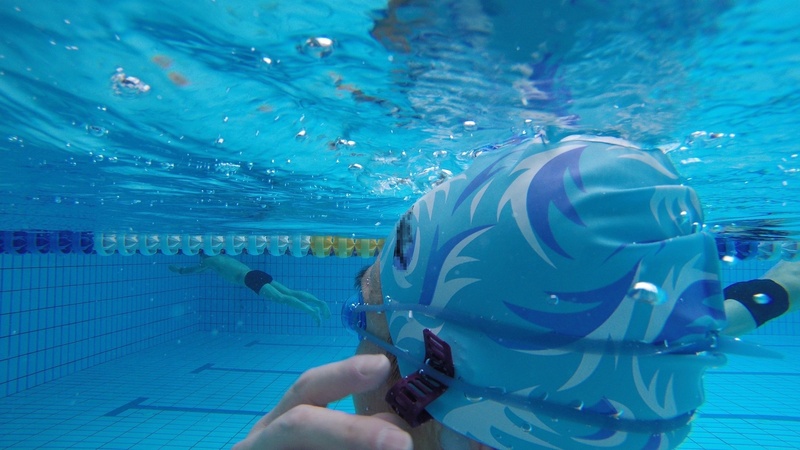 I’ll do it either as a start-of-practice tuneup, or at the end of effortful practices to re-tune my stroke and send me to the showers feeling great. I’ll do it both with 25s and 50s, and will probably start at a slower range, and use incrementally faster ranges over time. I also plan to do this with Backstroke. If you do the set, in any form, please share your results here. And if you find they improve over time, please share that too. Eventually I want to be doing this set starting @ 1.0 and finishing @ 0.9. I’ll let you know how it goes. For me, this exercise taught me that I didn’t have to think so hard about high elbows or try to grab the water. As I slowed down and focused on hitting the beeps, my muscles automatically adjusted and I became more efficient. Then, when I started picking up the pace, that streamlined, efficient feeling was still fresh in my “muscle memory” and it carried into the faster tempo. At this point, I am not really concerned with going faster, but if I were, I guess the first thing I would do is find ways to reduce my drag, rather than generating more propulsive power. My stroke length would go up and then it would be a matter of math and playing with tempo to find the pace I could maintain. 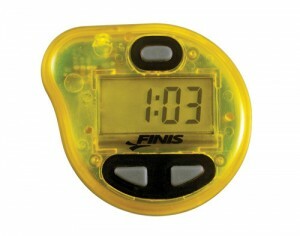 Finis Tempo Trainer is good, but really an old model, big size, single function and a little expensive.